Apple has done it again. The smartphone giant has taken leaps in innovations with its new update to local video application “Clips”. Apple has established itself very well within the technological landscape. It has created multiple products that cater to the needs of individuals everywhere. Apple’s wearable technology appealed to physically active users. The iPad Pro appealed to artists and students who preferred writing on glass rather than on paper. Its flagship smartphones have their own laurels that make them the go-to smartphone for millennials and Gen Z-ers everywhere. This time, Apple has decided to cate to consumers who like to dabble in cinematography. The updates given to the local video app “Clips” now allow it to be versatile enough for users to use. 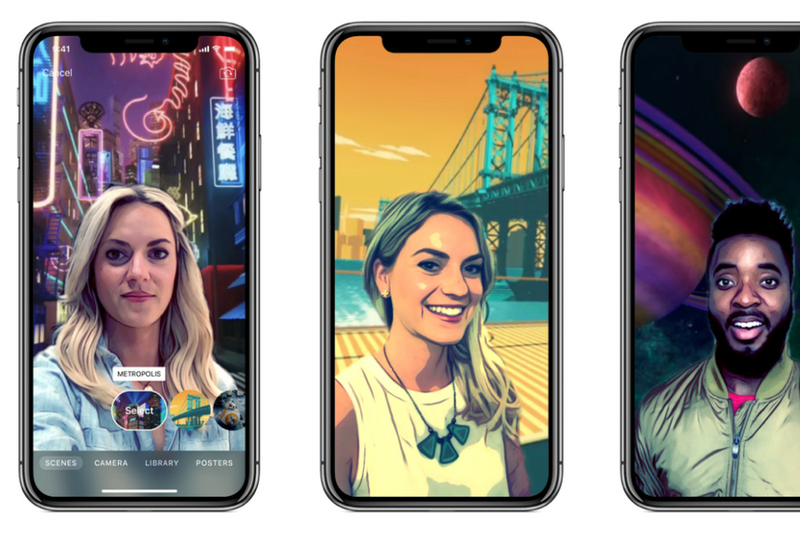 The latest update for Apple’s Clips app integrated a few new features that bring it closer to becoming a full-fledged mobile video-editing app. While competition from companies like Adobe is still strong, the additional features give Apple a competitive edge as it is incredibly user-friendly, with reports of grade-schoolers using the application for school projects. The most notable addition is the capability to add custom soundtracks directly to videos with songs created in GarageBand, your local saved music, and other music apps. Before this update, users were limited to built-in soundtracks and iTunes music tracks. This made it difficult for users to make their videos stand out, especially considering everyone had access to the same pool of music. Clips, which is exclusively available on iOS, launched in 2017 as a form of iMovie for a new generation of creators, with built-in filters, stickers, and transitions. It aimed to integrate the value of cinematography within the users of the iPhone the same way iMovie allowed users of the iMac and MacBook to dabble in video creating and editing. Apple’s most recent update to the app adds lots of small improvements, like the ability to share projects through AirDrop or email and save them to Files, as well as introducing more share capabilities for users to upload to third-party cloud services. By allowing this, Apple opens up multiple possibilities for Clips users to collaborate with other creators and users of other video editing software. There’s a new camcorder filter to make your videos look like they were shot in the ‘90s, and three new Live Titles, which is the built-in caption feature of Clips. This allows people to further customize the way their videos look as well as open up many possibilities for creativity. Users have the option to have their words appear all at once as static text on the screen, or as animated text, where each word is highlighted as they are spoken. There are also eight new “posters,” which is Apple’s version transitions with customizable text, and the ability to duplicate and rename projects. Although the features of the app are more simplistic compared to other mobile editing apps like Adobe’s Premiere Rush CC, the focus does make it easier and more user-friendly. Users do not have to attend classes in order to understand how to use the application. Apple’s also integrating ClassKit support to let students upload their video assignments to teachers via the Schoolwork app, adding to the educative value of the application. This new update to a well-loved app allows Apple to reach a new market as well as giving current users something more to use other than what they are used to. Clips is now becoming a force to be reckoned with within the video editing software industry, with its simplicity and user-friendly interface making it incredibly enticing to creators who just want to make videos to upload on their social media. Regardless of the reception, it is undeniable that the updates Apple gave to Clips is a step to the right direction.